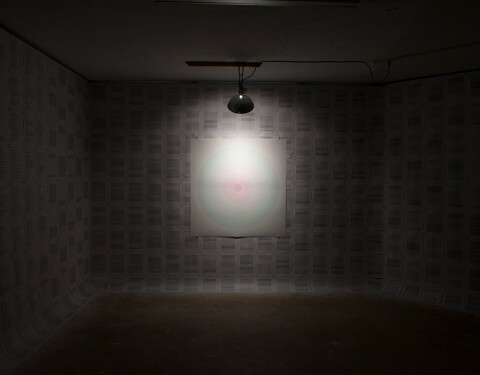 The inside out installation focuses on a single image consisting of concentric circles dimly lit in the middle of a room surrounded by printed sheets of 8 1/2″ x 11″ paper tacked to the wall with small copper nails. 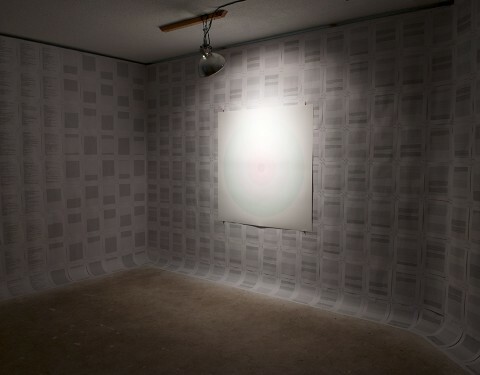 The sheets of paper are tacked on edge to edge, floor to ceiling covering the entire remainder of the room. 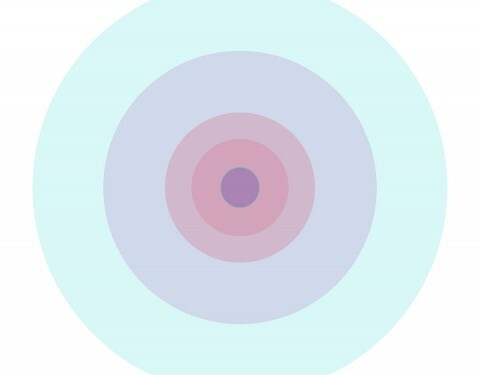 The concentric circle image is printed 44″x44″ on matt cotton rag paper and lit by a single overhead light. 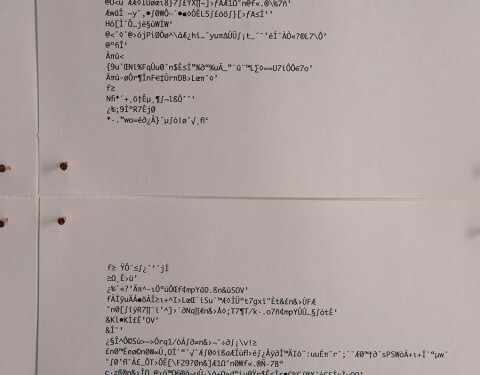 The surrounding room is covered by laser prints of the raw encoded computer text from the Photoshop file that is used to generate the circle image. 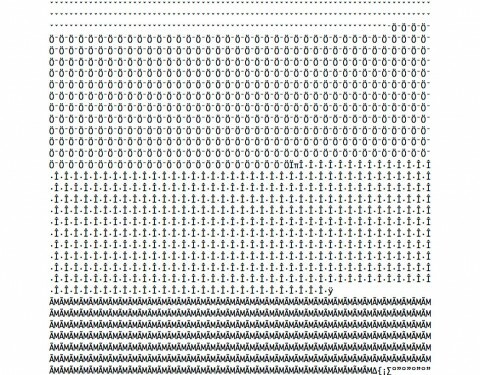 There were over 50,000 pages of encoded data produced for this one image. 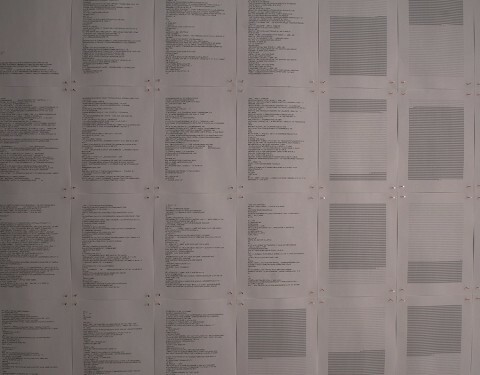 The pages are hung in order and tacked up with copper nails.